One of most interesting sinkholes in Maré Island is Le Bone de Léproserie. This island is rich with impressive sinkholes (see the description of another one: Trou de Bone) – from satellite images are seen some 50 large sinkholes but in reality their number is much larger. 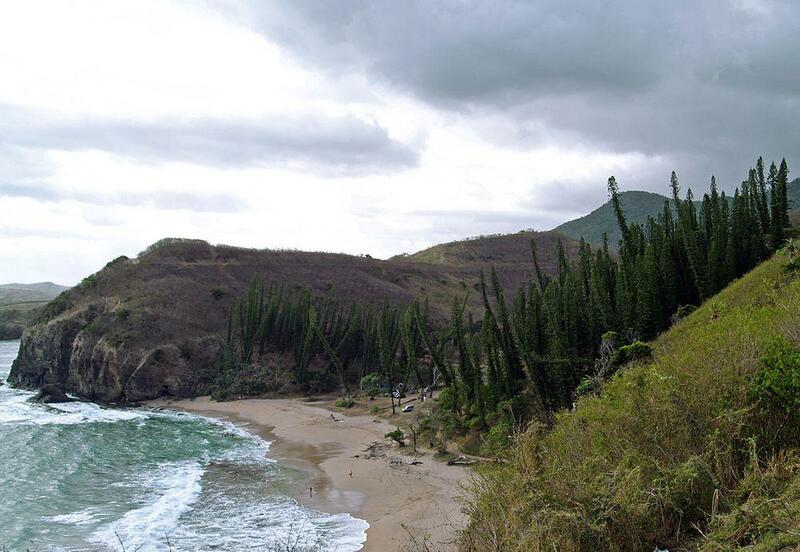 Le Bone de Léproserie got its name from a leper colony which was located here nearby – now little remains of it. 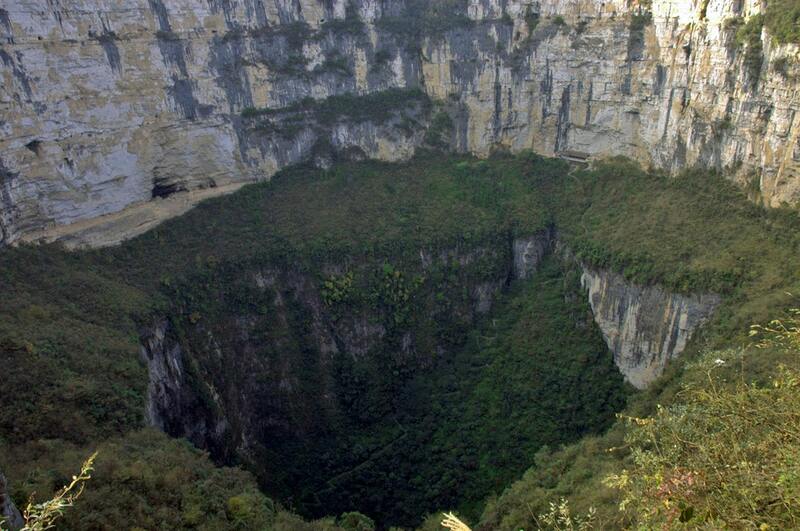 The entrance of this magnificent sinkhole is only 25 m wide. It starts as a 50 m deep well, which becomes wider with the depth. The well continues with a 40 m deep freshwater lake, which is 160 m (!) wide at its bottom. Lake contains 350,000 m³ of water and often erroneously is considered to be the largest underground lake in the world. Many lakes in sinkholes and caves are larger, f.e. El Zacatón (Mexico) contains 9,500,000 m³ of water. New Caledonia does not belong to mainstream tourist destinations but this Pacific island country is a true gem with many unusual landmarks. Most interesting landmarks are unique ecosystems, various karst formations and exciting fossil finds. Lonely Planet Vanuatu & New Caledonia is your passport to the most relevant, up-to-date advice on what to see and skip, and what hidden discoveries await you. Stare into the volcanic cauldron of Vanuatu’s Mt Yasur; eat snails by turquoise coves on New Caledonia’s Ile des Pins; or discover traditional tribal culture.